Want to win $250,000 cash? Calgary, Alberta, June 20, 2018 — The Children’s Hospital Lottery is back for its 26th year of proudly supporting the Alberta Children’s Hospital and making a difference in the lives of Southern Alberta’s children. 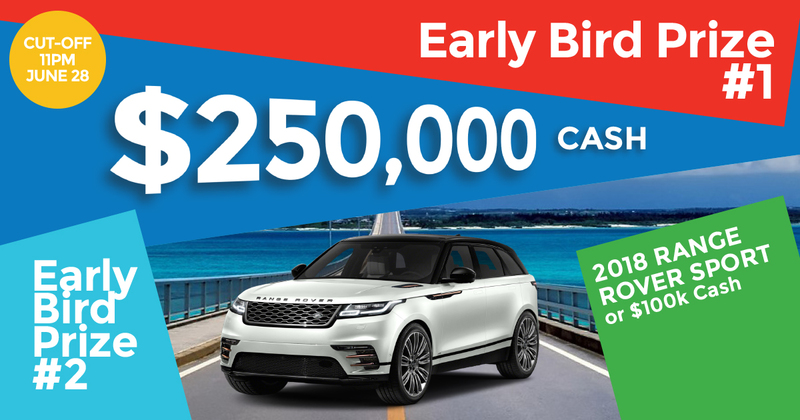 Purchase your tickets before 11 pm June 28 to be eligible for Early Bird draw #1 – $250,000 Cash, and Early Bird draw #2 – a 2018 Range Rover Sport or $100,000 Cash; along with over 1,200 other fabulous prizes valued at over $2.1 million. 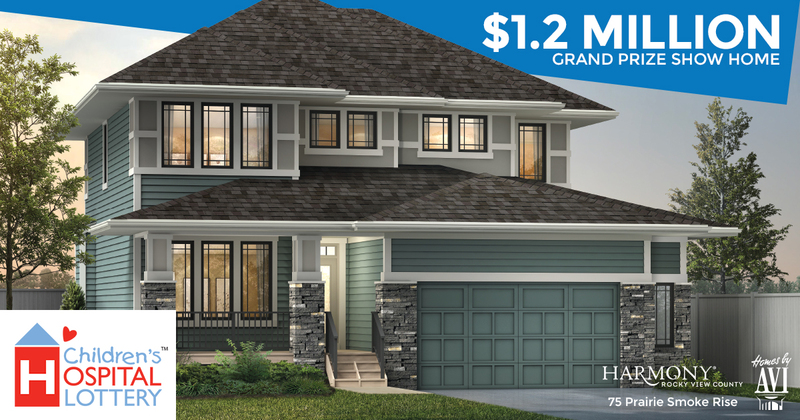 The fully furnished $1.2 million grand prize show home is located in the heart of Springbank – within the desirable community of Mahogany and only minutes from the Rocky Mountains. Built by Homes by Avi, this fabulous home comes with over 3,350 sq. ft. of finished living space including 3 bedrooms and a 9’ floor-to-ceiling finished basement, high end finishing’s and completed landscaping. Tickets start at only $50, and every prize has a minimum $100 value! Buy your tickets today! Whatever the medical needs of your child, the experts at the Alberta Children’s Hospital are ready and equipped to provide the very best care 24/7/365 days a year – and that is thanks to caring people like you. CLICK HERE to see how your support can make a difference.